Round Trip train fare in the "Wine Train Car" on the Delaware River Railroad Excursions. A short 3 mile bus ride through the rolling farm land of Warren County. A vineyard tour, wine and cheese tasting and a free wine glass. Feel free to bring a picnic lunch and a blanket and find a comfortable place on the grounds for your lunch or relax on the vineyards front porch. At the Vineyard you will be able to purchase wines from their company store. Space is provided on the bus for your purchases and our crews will assist you with loading your car once the train returns to Phillipsburg. The whole experience lasts just short of 3 hours. There are a number of great local restaurants where you can dine after your trip and enjoy your wine! Visit the website of the Delaware River Railroad Excursions for more information about all their train rides. Received an email from the operators of the Delaware River Railroad Excursions, but I am unable to copy and post it here for technical reasons. Nevertheless, here is some pertinent information. These excursions are operated by the New York Susquehanna & Western Technical & Historical Society along tracks of the old Bel-Del railroad, and their 2010 season begins this Saturday, May 1st. The train will NOT be operating on Monday holidays, only on the weekends. They also operate many special trains throughout the year like Day Out With Thomas which will be on 2 weekends in July. See their web site for more details. NORFOLK, VA. - Norfolk Southern Corporation (NYSE: NSC) today announced the regular quarterly dividend of 34 cents per share on its common stock, payable on June 10, to stockholders of record on May 7. Since its inception in 1982, Norfolk Southern has paid dividends on its common stock for 111 consecutive quarters. · Railway operating revenues increased 15 percent to $2.2 billion. · Income from railway operations rose 45 percent to $555 million. · Net income increased 45 percent to $257 million. · Diluted earnings per share rose 45 percent to $0.68. · The railway operating ratio improved by 5.1 percentage points to 75.2 percent. 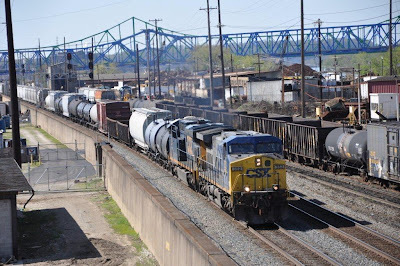 NORFOLK, VA. - For the first quarter of 2010, Norfolk Southern Corporation (NYSE: NSC) reported net income of $257 million, or $0.68 per diluted share, 45 percent higher compared with $177 million, or $0.47 per diluted share, for the first quarter of 2009. First-quarter 2010 results were impacted by a $27 million, or $0.07 per diluted share, deferred tax charge resulting from the enactment of recent healthcare legislation, which, effective in 2013, eliminates the tax deduction available for prescription drug expenses reimbursed under the Medicare Part D retiree drug subsidy program. "Norfolk Southern delivered strong financial performance during the first quarter, reflecting positive trends in the economy," said Norfolk Southern CEO Wick Moorman. 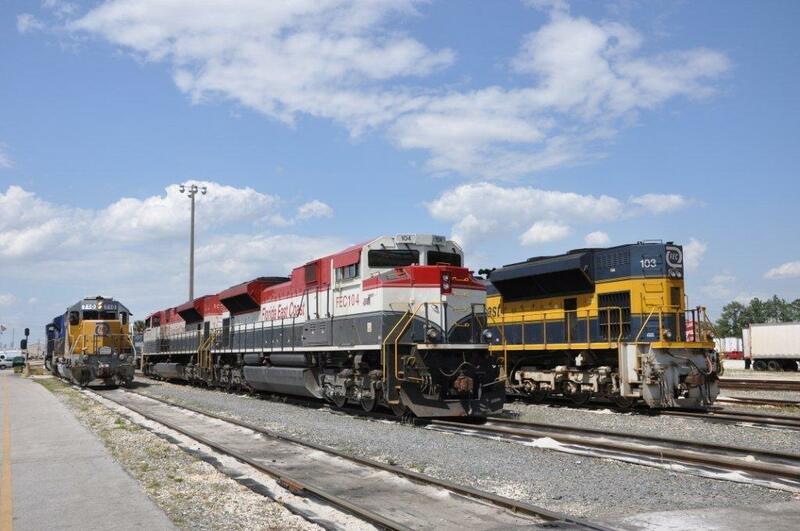 "Demand for rail transportation continues to grow in most sectors of our business. We remain confident that many of the cost efficiencies we have achieved will remain in place as we continue to invest in key projects and new business opportunities." First-quarter railway operating revenues improved 15 percent to $2.2 billion, compared with the first-quarter of 2009, primarily as the result of a 9 percent increase in traffic volume. General merchandise revenues were $1.2 billion, 23 percent higher compared with the same period last year. Coal revenues increased 4 percent to $629 million compared with first-quarter 2009 results. 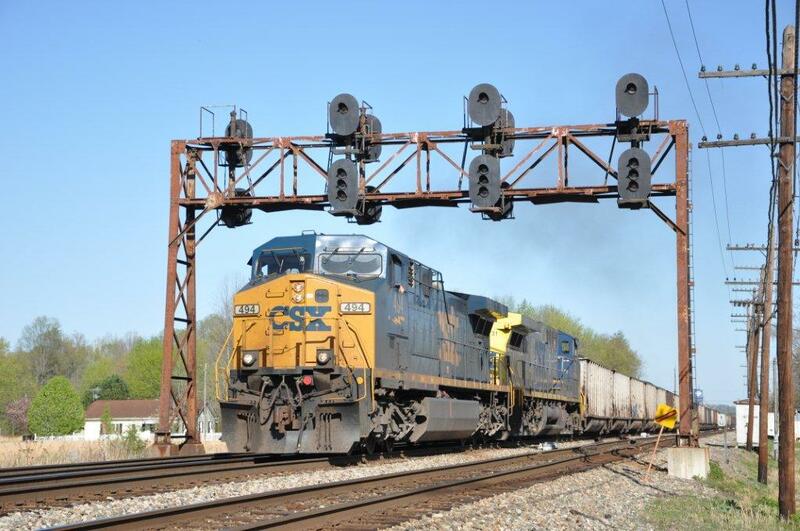 Intermodal revenues were $410 million, up 12 percent compared with the first quarter of last year. 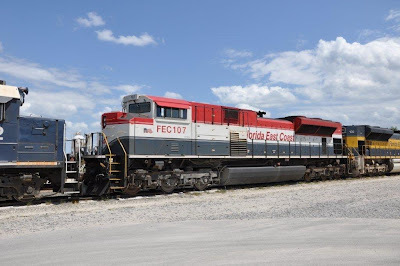 Railway operating expenses for the quarter were $1.7 billion, up 8 percent compared with first-quarter 2009, primarily a result of higher fuel expenses, which rose by $95 million or 60 percent, largely related to increased prices. Income from railway operations for the quarter improved by 45 percent to $555 million compared with the same period of 2009. The railway operating ratio improved by 5.1 percentage points to a post-Conrail transaction first-quarter record of 75.2 percent, compared with 80.3 percent in first quarter 2009. NEW YORK (Reuters Life!) 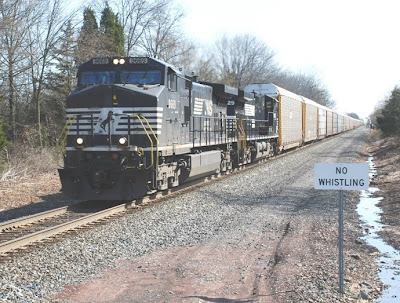 - After idling for decades, train travel in the United States, while not quite out of the station, is beginning to work up a healthy head of steam. And experts say that is thanks largely to the mounting hassles and tacked-on costs of traveling by air. "The airlines are prompting a renewed interest in rail travel," said Margie Jordan, CEO of ASAP Travel, based in Jacksonville, Florida. "Clients paying extra for checked bags, carry-on bags, blankets, pillows, headsets, food, drinks and, in the case of Ryanair, even to use the toilet, are looking for a less expensive option," she said. "It's nice to see the resurgence of a travel experience that had seemingly lost its luster." Even though the pre-World War II glory days of Art Deco dining cars and streamline sophistication are long gone, Ypartnership, a travel marketing company, found that nine percent of leisure travelers reported having taken at least one train trip during the past year. That's a hefty increase from the four-to-six percent of previous years, according to CEO Peter Yesawich. And it includes more young people. "Traditionally train travel has been favored by the older population," he said. "But it appears to be gaining among millennials and gen-Xers. That's a surprising observation." "Last year one out of five commercial flights were delayed or canceled," he said. "And you're far more likely to get stuck in a middle seat because planes are flying so full." He added that if quality rail travel was more available, more comfortable and more convenient people would opt out of other forms of transport. President Barack Obama wants more Americans working on the railroad. The Department of Transportation awarded $8 billion of the economic stimulus package to develop high-speed passenger train service nationwide. And last month Amtrak, the government-sponsored U.S. railroad company, announced a new department aimed at developing intercity high-speed rail service in select corridors. Eric Torkells, an editor for TripAdvisor.com, says the United States still chugs far behind Europe and Japan. "It would be great to have corridors the way Europe does, but all our sprawl makes it hard to put down high-speed tracks, which have to be straight to achieve those speeds," Torkells explained. "No one wants to fly more than they have to," he said. "And flying is the worst thing you can do in terms of environmental impact. When trains are a viable option, the number of flights goes down." 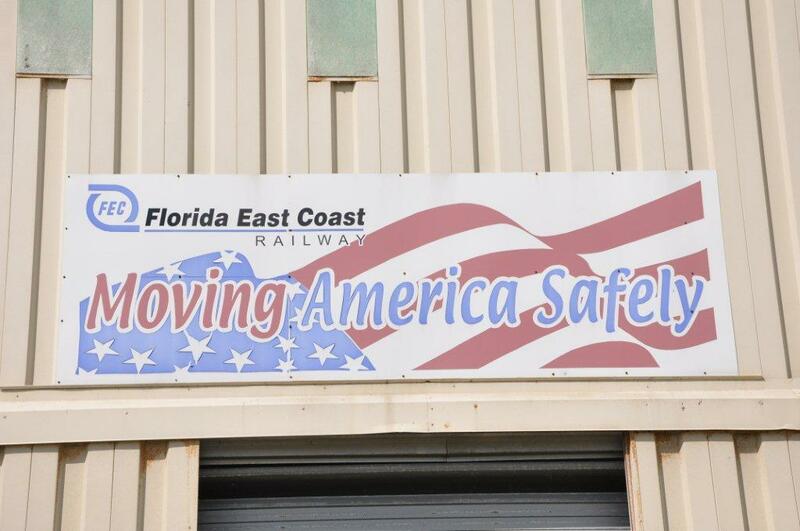 If Americans are leery of riding U.S. rails, they have no such qualms abroad. "One of the most popular European destinations for Americans is Italy and it is getting its fair share of rail riders," said Mike Weingart of Travel Leaders in Houston, Texas. "The schedules are good and the service is reliable." 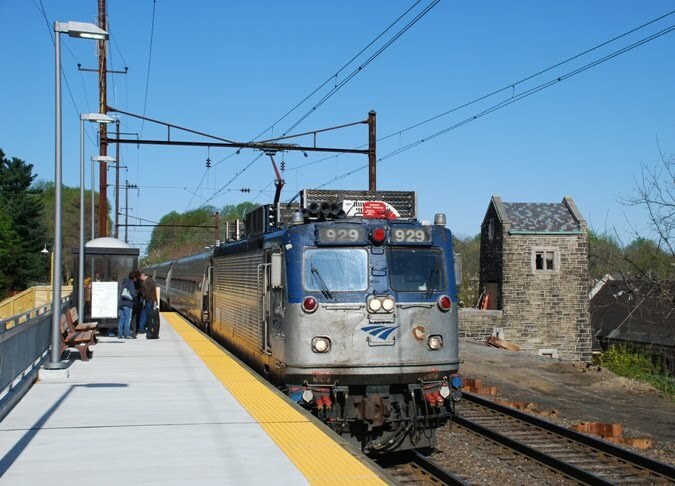 Leslie Parenteau, of Donovan Travel in Woonsocket, Rhode Island, said Acela, Amtrak's high-speed rail service along the 457-mile (735-kilometer) Northeast Corridor, changed the habits of her corporate and leisure clients since it was rolled out in 2000. "The Acela train kicked bookings away from air travel," she said. "Train travel was not convenient until the Acela came along. But in Europe the first thought of transportation is trains. "This country is so far behind," she said, adding that when flooding recently wiped out part of the train she thought of other options. "We actually started looking at the bus schedules." My trackside trip certainly started out on a good note catching NS 214 at Manville as it passed through around 8:11. A unanticipated and pleasant surprise was seeing UP 7833 as 214's leader. Equally enjoyable was meeting up with two friends and getting caught up on what has happened since I last saw them. After 214 passed, my travels took me up to Three Bridges where I missed westbound 21M but did see eastbound 22V come through. Once again, some trackside acquaintances I met here made the wait for 22V enjoyable with their ensuing conversation. 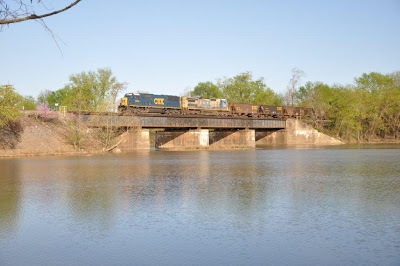 NORFOLK, VA. - Ten sons and daughters of employees are receiving college scholarships from Norfolk Southern Corporation under the company's annual scholarship program. · Rachel McFarland, daughter of Engineer John McFarland and Julie McFarland, who will graduate from White Knoll High School, Lexington, S.C.
· Vanessa Taveras, daughter of Electrician Timothy Mauch and Maria Mauch, who will graduate from Maumee High School in Maumee, Ohio. National Merit Scholarship Corporation, an independent, nonprofit organization, selects scholarship recipients. For detailed descriptions of the scholarships sponsored by Norfolk Southern and other corporations, refer to the NMSC website, http://www.nationalmerit.org/. 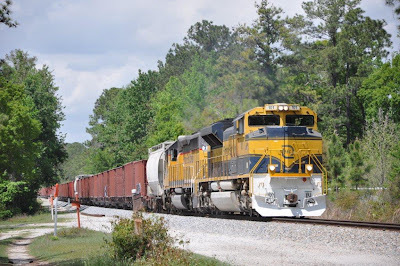 NORFOLK, VA. - Norfolk Southern Corporation (NYSE: NSC) has expanded its communications with online audiences, distributing information, video, and photos on popular social media Web sites. News media, customers, shareholders, bloggers, and other opinion leaders now can keep up to date on Norfolk Southern news and information through Facebook, Twitter, YouTube, and Flickr. "A 180-year-old company that traces its roots to the earliest days of railroading in America now connects with digital-age audiences who get their news through online networking," said Frank Brown, AVP corporate communications. 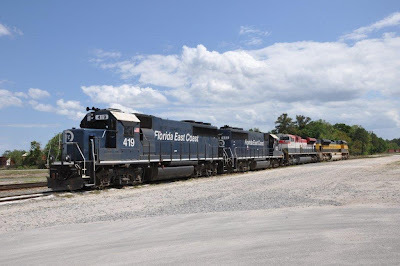 "Our expanded presence on the Internet serves the growing number of people who receive information about Norfolk Southern through new media channels and allows us to deliver it in the formats they prefer." 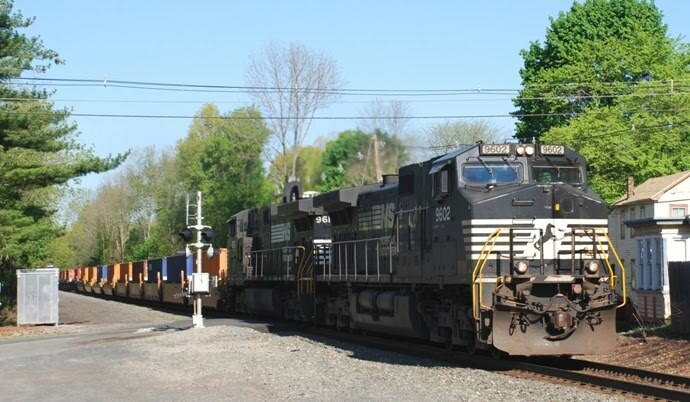 Norfolk Southern has nearly 7,000 fans on Facebook. The company went live on Twitter in February, and some 300 people now follow NS' 140-character "tweets" through their cell phones, PDAs, and online. NS has posted 13 videos on YouTube about the company's operations and business, including the 2,500-mile Crescent Corridor public-private partnership to improve freight rail transportation in the East. On Flickr, 49 photos depict the company's transportation operations and facilities, and a gallery documents last winter's record snowfall through photos taken by employees. 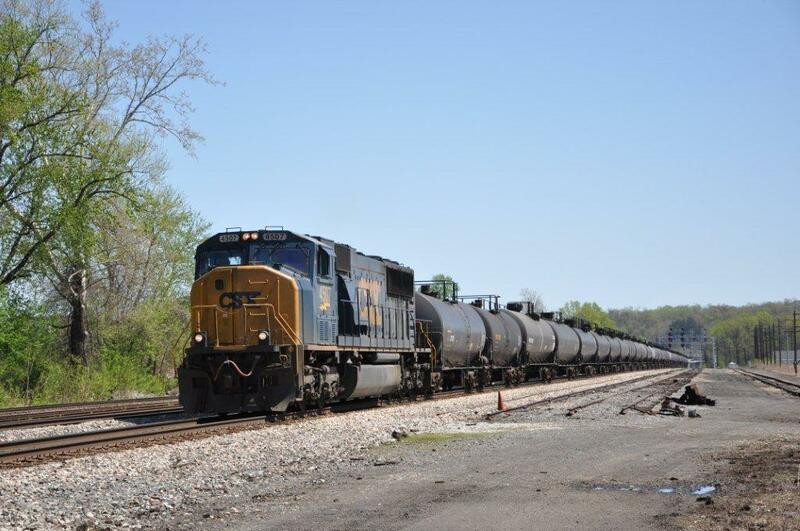 Additionally, some 19,000 people visit Norfolk Southern's Web site daily. 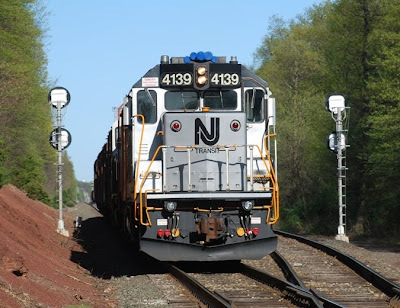 To make it easy to connect with NS online, the company has placed icons on its main Web site at www.nscorp.com that link to Facebook, Twitter, YouTube, and Flickr. RSS feeds also are available on the Norfolk Southern Web site, making it simple to get information about the company in real time. Norfolk Southern's presence on Twitter (www.twitter.com/nscorp), Facebook (www.facebook.com/norfolksouthern), YouTube (www.youtube.com/user/norfolksoutherncorp), and Flickr (www.flickr.com/photos/norfolksouthern) is an initiative of the company's New Media Team, which supports online communications with everyone interested in learning more about the company. Many of you asked for it, so here we go! Having quickly outgrown the Marysville Lions complex by year three, an alternative location was being pursued however, attempts to secure approval at the proposed new location never materialized. We sat down and thought about the future for CRHS train shows and came to one realization. If we were going to continue them, we couldn't afford to bounce around from location to location when we outgrew the current location. Our show had to be solidified as a staple event in the CRHS yearbook, with a reliable and steady location being the first step. Given that prognosis, we decided it was time to look at where we wanted our show to be ten years down the road, and put things into motion now, to realize that goal. We really feel there is a future in train shows, much to the disagreement heard from other's in the hobby. The traditional February CRHS Train Show has been re-invisioned, and we're prepared for a very successful future with the all new "CONRAIL HISTORICAL SOCIETY 5th ANNUAL WINTER BLUES MODEL TRAIN & RAILROADIANA SHOW" being held November 20, 2010 at a location where only the biggest and best shows call home, the Pennsylvania Farm Show and Expo Center in Harrisburg, PA! 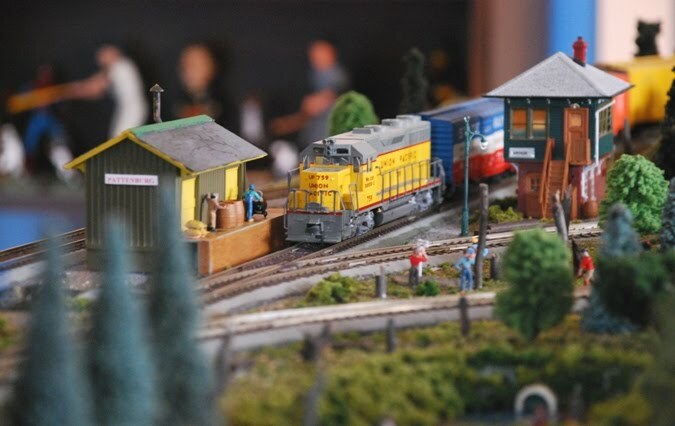 There will be new, used and collectable model and toy trains, refreshments, door prizes, railroad collectables, etc. Come out to buy, sell and trade all scales. There will be plenty of FREE parking available. Operating modular railroads of various sizes will captivate and inspire. 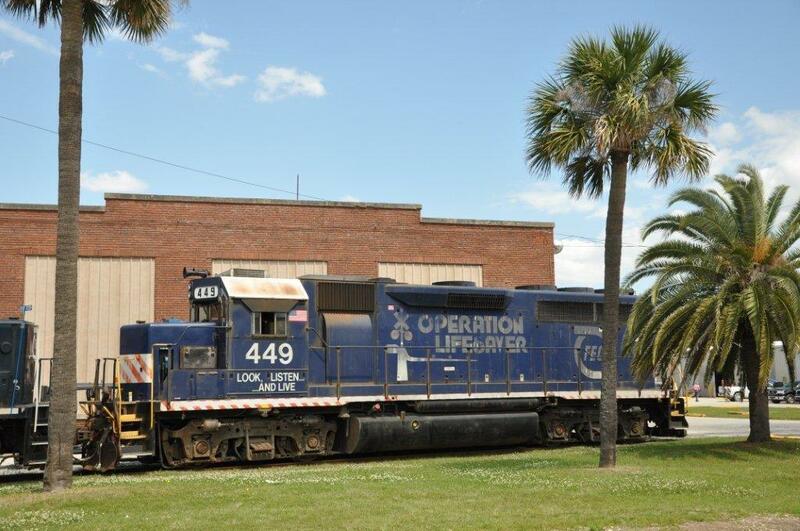 Operation Lifesaver will be on hand with displays and handouts, and there will be an interactive children's play area with toys, games, coloring and videos! A unique visit from Santa with free pictures available will be a treat for kids of all ages! All roads leads to Harrisburg, and making the trip couldn't be easier! With so much to do, why not make a weekend out of it? The railroad action is non stop in Harrisburg and with a wide assortment of other area attractions, it's fun for the whole family! Other events being held at the Farm Show November 20, 2010 include a Beer Festival, Motorcycle Swap Meet and Sale, Bull Ride Mania, and Mid Atlantic Antique Tractor Pull! Slide presentations and other various clinics are still being finalized with details to be available shortly, online. Download a copy of the show flier (attached) for additional information including vendor registration, lodging and travel directions. Stay tuned to the website for further details! With a big venue comes a big show and an even bigger marketing campaign. Our advertising budget has been increased by more than one thousand percent. Advertising guns blazing, we're bringing in the crowd this year. Please feel free to forward as you see fit! Hope to see you all in November at the show! To see their flyer, including vendor registration form, click on the link below. ...after taking a road trip out to Hershey by way of Aberdeen, MD and Washington, DC. I will admit that I never got lost during this trip. After all, if one does not know where they are going to begin with, how can you say you are lost? During this trip, my wife made some concessions to do some railfanning along our way and this is what I was fortunate enough to see. The first sighting occurred at Harpers Ferry, WVA @ 12:27 on April 9th. 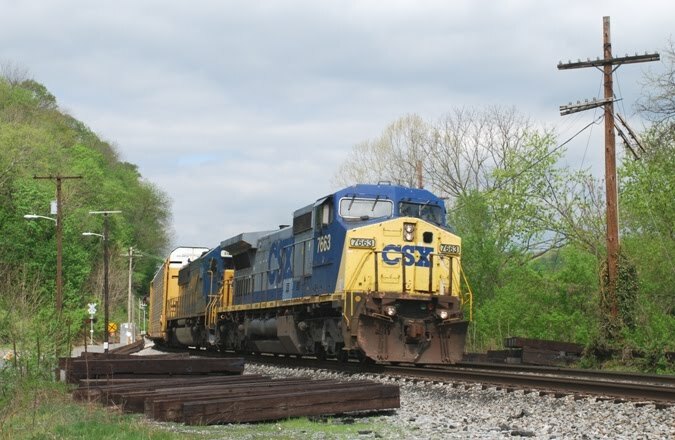 It was an eastbound CSX autorack train with CSX 7663 and CSX 8660 approaching the Harpers Ferry station. The next trackside stop was in Elizabethtown, PA where Amtrak train 664 is seen pulling into the station at 9:47, right on time. This station, originally built by the PRR in 1915, is currently undergoing a renovation. The platform has been raised four feet and extended from 220 feet to 500 feet to help make it more handicapped accessible. My final stop would be the sweetest place in the world, Hershey, PA. Right across from Hershey Park was where I photographed NS 862, a unit coal train with NS 9606, NS 8779 and NS 8693 as its power. That metal structure off to the right in this scene is one place you won't find me. That is the track for a floorless roller coaster. Taking a break from driving to Paris and visiting with a close friend in the Teays Valley, WV, we spent some time trackside along CSX along the old C&O main line. Also see our posting from yesterday. As requested, here are some more FEC power!! Greetings one and all...I know it has been a while since I have bombarded your in-box with photos.!! It has been an interesting couple of weeks. Tested on the Georgia Florida Railnet, then headed to Miami and tested the Miami-Dade Transit Line (at night) and now heading north to test the Trans-Terminal Inc (TTI ) in Paris, KY. Then off to Paducah and the P&L. WHEW!!!! Figured on making the trip out of Florida interesting by following the FEC to Jacksonville....soon found out it was no fun dealing with all the blue-hairs on US Route 1. YIKES...If I ever start driving that badly, SHOOT ME!!!! Wound up visiting the shops at New Smyrna Beach, FL and shooting the stored units there, then headed to Jacksonville, (Bowden YD). Heard Train 101 doubling and doing air-tests, so found me a nice open area and waited. Shortly FEC 101 on train 101 came through. Sure was nice to see the new SD70-2 on the point. Into Bowden Yd. 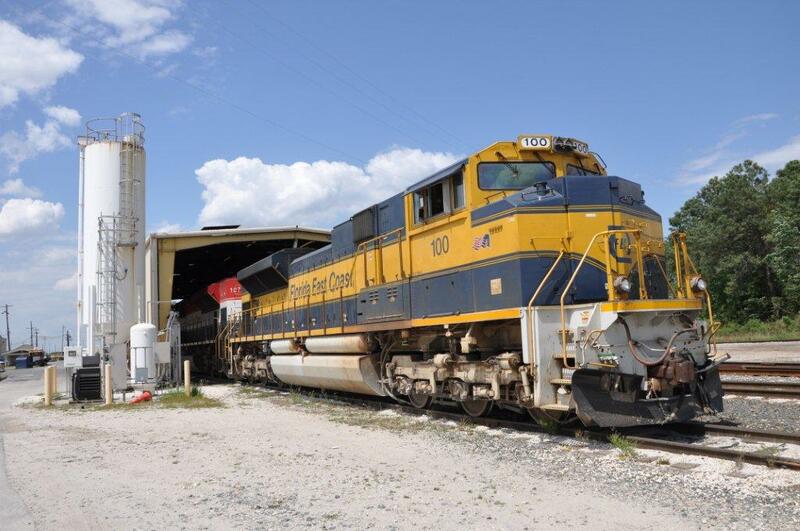 The Railroad is friendly enough to allow photography from the paved parking lot between the engine terminal and the Yard Office. Afternoon is best for pictures and luckily that is when I was there! In association with Intermountain Railway Co., The Big Little Railroad Shop is proud to announce this HO scale, exclusive, extremely limited production run of CSX Transportation GE U18B locomotive 9507 in the Maintenance of Way ORANGE paint scheme. Production is limited to just 100 total models. MSRP is $219.95 for sound equipped and $139.95 without sound. You can reserve yours by mail or phone. A $20.00 non-refundable deposit is required to hold your model. Delivery is expected in August or September 2010. 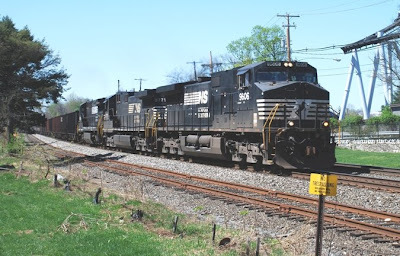 NORFOLK, VA. - Norfolk Southern Corporation (NYSE: NSC) will present its first-quarter 2010 earnings on Tuesday, April 27, 2010, at 4:30 p.m. EDT via teleconference and live Internet webcast. The company will issue its earnings results shortly after market close on April 27. Those interested in participating via teleconference may dial 877-869-3847 several minutes prior to the call. An audio replay will be available until May 3, 2010, following the live broadcast by dialing 877-660-6853 using PIN 2861 and replay number 346845. 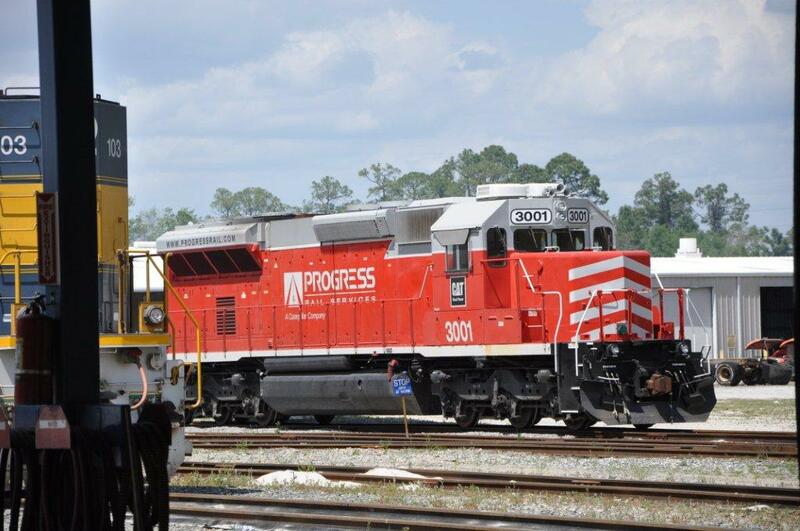 In conjunction with the call, a live webcast will be accessible, and presentation materials will be posted on the company's Web site at www.nscorp.com under the Investors section. Following the earnings call, an Internet replay of the presentation will be archived on the company's Web site. In addition, the replay will be available for download to a portable audio player or computer as an MP3 - or podcast - file. Both the replay and MP3 file can be found at www.nscorp.com in the Investors section. ...because they would be the only trains I saw today while trackside. The first NS train was 214. 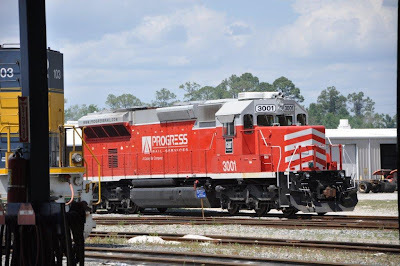 It came through Bridgewater around 8 AM with NS 9068, NS 9620 and NS 6684 for power. Heading over to Manville, I waited for NS 21M to head west at 8:49 with a power consist of NS 9659, NS 8419 and NS 9791. 21M would be instructed to take the siding at MP 51 for 22V and 212. At 9:35, NS 22V came through with NS 9841 and NS 8366. Stenciled beneath 8366's number of the cab's side was "CRCX". More on what this designates later. About 20 minutes later, NS 212 would come through with NS 8446, NS 8974 and NS 7599. Beneath 8974 cab's number was "PRRX" I would later learn that if a diesel has CRCX, that indicates the locomotive is a former CR unit leased by NS. PRRX means the locomotive is a former CR unit now owned by NS. As to why NS did this, I have no idea. My final train of the morning would be NS empty autorack train 11J. It's motive power consisted of NS 9669 and NS 9029 was nothing be to whistled at. Had a very amusing incident take place while waiting for 11J. A van pulled up alongside my location and the man on the passenger side asked me if I was a train buff or photographer. My response was "Both!" With that, he said he had something for me and getting out of the van, He handed me a button that said "I Luv RR". I thought that was very nice of them and thanked them. That button now is pinned to my camera bag. Not a bad way to end this morning, eh? Following is a news release from Union Pacific. 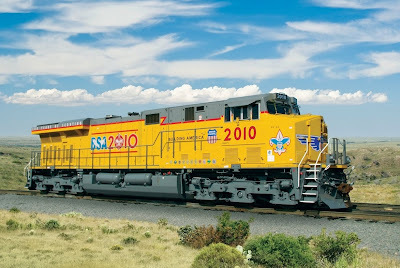 Houston, Texas, March 31, 2010 – Union Pacific Railroad today unveiled the UP No. 2010 Boy Scouts of America Locomotive, created as a tribute to the organization's centennial celebration. The UP No. 2010 honors Scouting's 100-year impact on the nation and the many Scouting enthusiasts in Union Pacific's work force and communities. "Union Pacific and the Boy Scouts of America have played leadership roles in shaping America's history. With the UP No. 2010, we are proud to celebrate 100 years of Scouting, progress and patriotism," said Robert W. Turner, Union Pacific senior vice president-Corporate Relations. "We are deeply honored by the tribute Union Pacific has given to Scouting through the creation of the commemorative locomotive," said Bob Mazzuca, Chief Scout Executive of the Boy Scouts of America. "We also owe a great deal of gratitude to our UP employee Scouting alumni base, which has spearheaded the movement to create the UP No. 2010. 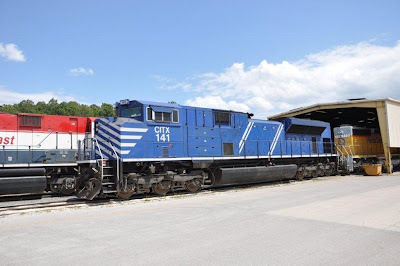 Their efforts mean that for years to come, the locomotive will serve as a reminder of the impact millions of Scouts have had on this country for 100 years." The UP No. 2010 locomotive will celebrate the BSA's centennial as it hauls the freight that supports America across Union Pacific's 32,000-mile, 7,000-community network. Because it is one of the newest and most fuel-efficient locomotives, the UP No. 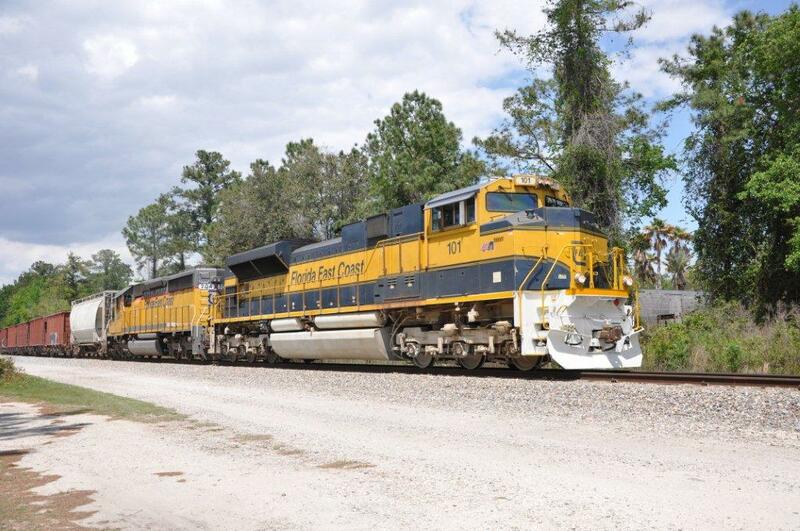 2010 likely will carry service-sensitive consists such as automotive and intermodal trains. The Scouting movement is composed of 2.8 million young people between the ages of 7 and 20 and 1.1 million volunteers in more than 290 local councils throughout the United States and its territories. The Boy Scouts of America is the nation's foremost youth program of character development and values-based leadership training. For more information on the Boy Scouts of America, please visit http://www.scouting.org/.